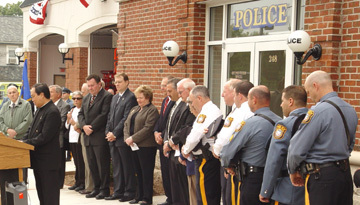 A dedication of the Public Safety Complex at 248 Hamilton Avenue was conducted by the Borough of Hasbrouck Heights Mayor and Council on October 2, 2004 at 10 a.m. 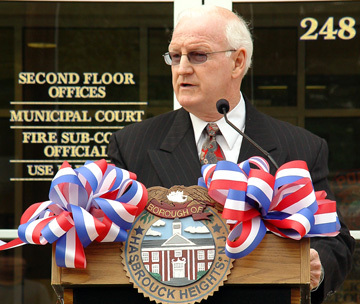 The Public Safety Building will house the Hasbrouck Heights Police Department, Fire Department and Municipal Court. 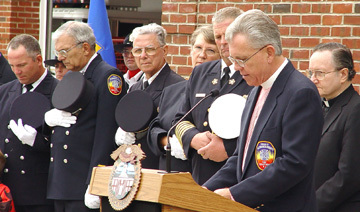 The facility was operational on September 20, 2004. 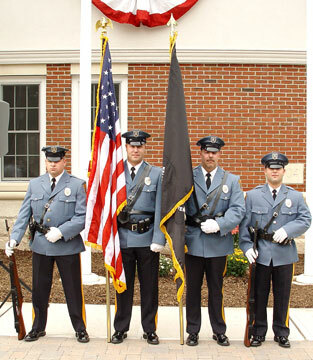 The program began with presentation of the Police and Fire Department Honor Guards. 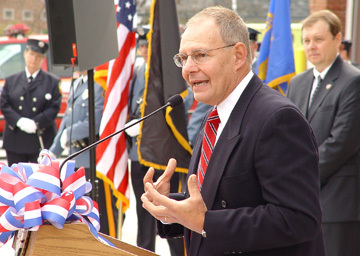 Introductions were made by Councilman Thomas Meli followed by a salute to the Flag and the Pledge of Allegiance. 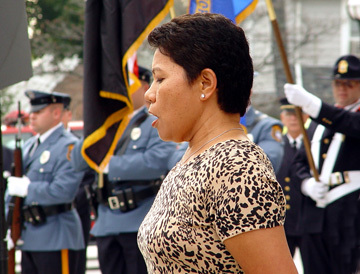 The song "America" was led by Conchita Parker. The Rev. 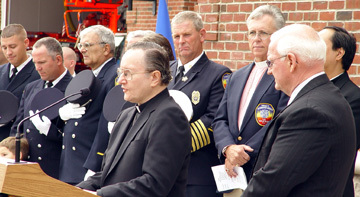 Joseph Pickard, Vicar of the Church of St. John the Divine said the invocation. 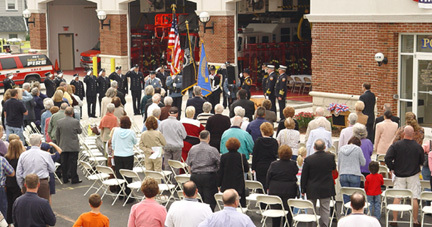 Dedication remarks were made by Mayor Ronald R. Jones, Councilmen Garrett R. Pepe and Justin A. DiPisa. Presentations were made by Wood-Ridge and Lodi Fire Departments, followed by comments by Hasbrouck Heights Fire Chief Robert Thomasey. There was a ribbon cutting ceremony at the front entrance of 248 Hamilton. The Benediction was given by Rev. Msgr. Rodrigo San Pedro, Adjunct Clergy, Corpus Christi Church. 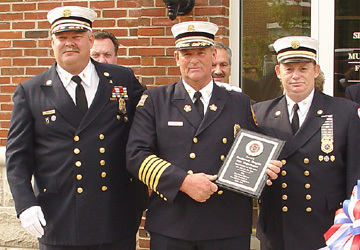 A second ribbon cutting ceremony was conducted in front of the Hasbrouck Heights Fire Department. The Blessing of the Rooms were conducted by: Police Department -- Rev. Msgr. Rodrigo San Pedro, Adjunct Clergy, Corpus Christi Church; Fire Department -- The Rev. 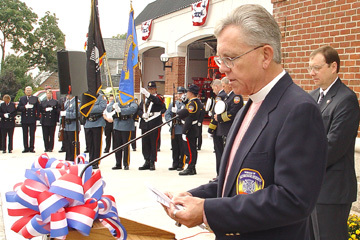 Joseph Pickard, Vicar of the Church of St. John the Divine and Municipal Court -- Rev. 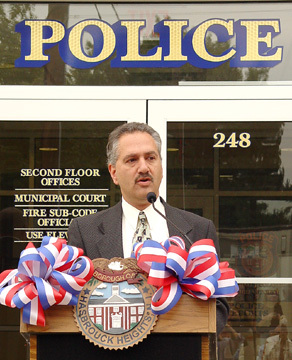 Edward Glasser, Community United Church of Christ. 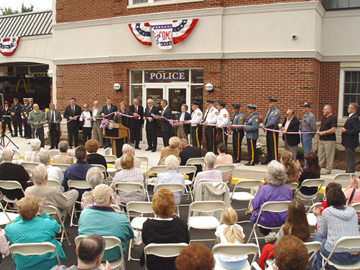 Public tours of the building and light refreshments were served following the dedication. Councilmen Garrett R. Pepe and Justin A. DiPisa. 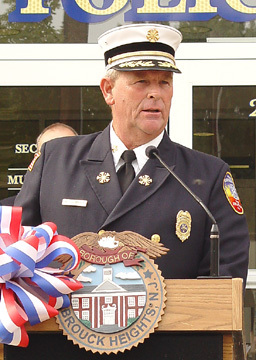 Hasbrouck Heights Fire Chief Robert Thomasey.